It has been an interesting summer of international basketball for the national teams. The basketball summer opened with the EuroBasket Women competition in France with a victory for Spain and concluded with a win for France at the men’s EuroBasket. However it was also an important summer for the national teams of women’s basketball in the United Kingdom. They began a new Olympic cycle programme. The major highlight for the GB women was the senior team’s performance at EuroBasket in which they missed out on a quarter-final place. They lost the head-to-head encounter against the Czech Republic. With the senior team’s campaign finished and no World Student games for the futures’ squad, it was the turn of the British youth players to showcase their talent. In the U16 European Championship Division C, Scotland were denied Gold by Cyprus. Whereas Wales extended their losing streak to 17 games. Despite the disappointment for Scotland in missing the championship trophy, Elenor Jones walked away with the MVP honours. Up next was the U20 European Championship with Great Britain back in Division B after two years in the elite. Matt Johnson who is well known for his work at Reading was given the charge as the head coach for this edition. It was a tough job. For the first time since 2009, the team was practically void of players from the US College as well as the High school system. With 11 members of the squad still eligible to come back next season this year’s result with a 7th place after winning the last two games is an encouraging début. 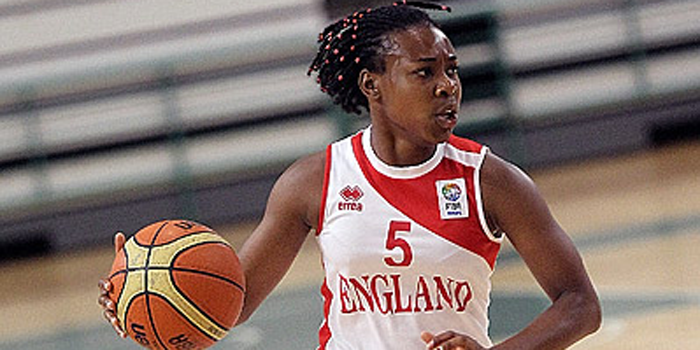 Karen Burton has been at the helm of England U16 basketball since 2007. This summer she was without her long-time lieutenant and team manager Ollie Jerram. The plan for U16 was a quick return to Division A. But a lapse of concentration against Finland on 5th August in a first-round game resulted in a defeat (47-56). This loss indirectly eliminated them from the promotion battle. Division B can be so cruel: England were then beaten by Serbia. No matter what happened next their challenge was over. England finished 7th just like in 2007 during Burton’s first season in charge. Len Busch’s second season as head coach of England U18 ended in disappointment. They were relegated from Division A. England finished in 16th place despite winning two games. England were hampered by injuries. Despite recalling four players from the GB U20 squad, it was not enough for the 1995 golden generation to beat the drop. Four-time U16 and first-time U20 player Leah McDerment should be back again for another U18 campaign next season challenging for promotion while also breaking the British youth European Championship participation record. Unfortunately Scotland decided not to enter a team at Division B level for the U18 European championship despite providing players for the GB U20 team. A lot of good things are expected of British women’s basketball over the next 12 months. Hoopsfix in collaboration with WBBIF are welcoming you to discover more about the British women playing with the orange ball.